To improve the country’s healthcare system, African Resource centre(ARC) has signed a Memorandum of Understanding(MoU) to collaborate with some Nigerian universities in promoting educational and research capacities on supply chain management. The collaborations are aimed at strengthening existing programmes or establishing new supply chain management degree and certificate programmes, through curriculum strengthening, faculty exchanges, joint research projects, student internships, etc., with the universities. These include University of Nigeria Nsukka (UNN), University of Lagos (UNILAG), Nnamdi Azikiwe University (NAU), Awka and Lagos State University (LASU). Speaking at the signing of the MOU between ARC Nigeria and these academic institutions, Mrs. Azuka Okeke, Regional Director, ARC Nigeria revealed that the organisation is raising the performance of health supply chains to increase the availability of medicines and health commodities at the last mile – through capacity enhancements of public health logisticians, supply chain process improvements, among others. Okeke also explained that one major focus area of the ARC is to support effective development of local talent pools adequately trained to manage and operate public health supply chain and logistics systems, as well as for private sector supply chain systems in Nigeria and subsequently within West-Africa. “In effect, the ARC seeks to foster a supply chain revolution in Nigeria by facilitating local and international partnerships to foster in-country capacity for sustainable supply chain Education, Research and Innovation. Continuing, she said: “ARC Nigeria’s medium to long term plan to spur development of local talent involves setting up a premier academic Center of Excellence on supply chain in partnership with local and international universities to ensure even distribution and promotion of supply chain knowledge and research across Nigeria. 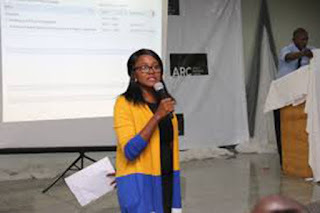 Azuka further said ARC is also collaborating with multiple academic institutions in Nigeria, such as, the Universityof Nigeria Nsukka (UNN), University of Lagos (UNILAG), Nnamdi Azikiwe University (NAU), Awka and Lagos State University (LASU) – to tap into as well as foster educational and research capacities on supply chain management. ARC Nigeria was conceived as partnership between the Bill and Melinda Gates Foundation (BMGF) and Private Sector Health Alliance of Nigeria (PHN) – as a central resource center to foster, mobilize and channel expertise and capacity within the private sector and academia to strengthen public health supply chains across the country.